How can I help you enhance your relationships and woo your life? You are a successful, mature modern woman. Engaged and dynamic. 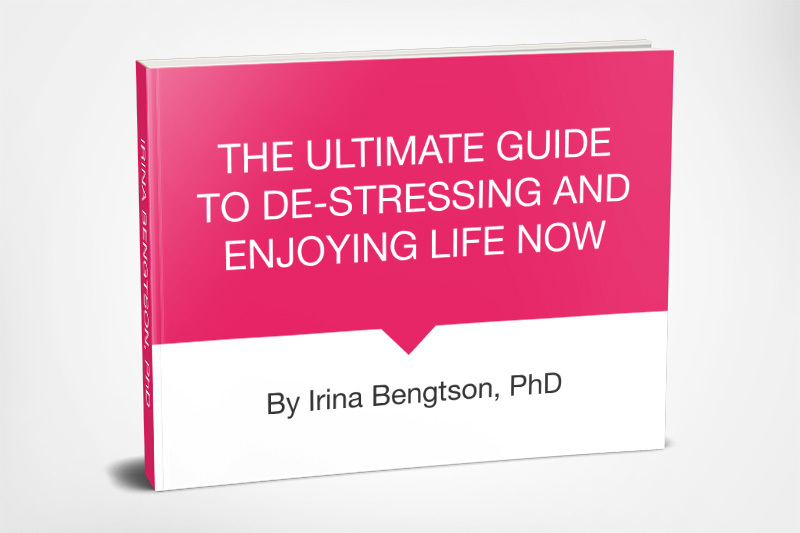 Did you think that getting over a certain age would reduce stress? And were you hoping for more time for yourself? Working more than ever, finding it harder to cope with the growing pressure. Want to quit or change your career? Feeling you and your husband are growing apart. Do you want to save your relationship but are uncertain how? Or are you ready to leave but feel scared of being on your own? Too stressed at the point of your life when your own health needs attention. Are you tired of being tired? Supporting an elderly parent or your spouse while working and taking care of the rest of the family. Struggling to deal with a loss or transition. Something has to change. You know that. Feel overwhelmed by a number of websites and piles of information. Are not sure whom to trust. Struggle to apply what you learn and wish to have feedback from a pro. A tiny change today will make a huge difference to your life in the future. If you stick to it. Change is against human nature. “When one door closes, another door opens. But it’s hell in the hallway.” Your brain views each change, as a potential danger, and staying put may seem the safer option. Making life-altering decisions is a huge deal. I can help you identify the door that has to be shut and to cope with the hell of the hallway. Together we can calm your brain and find a new path for you. The earlier you start, the easier it will be. I have over 30 years of experience as a clinical psychologist, PhD; and nearly 10 years as a certified Imago relationship therapist, coach and educator. I’ve helped more than 650 clients from different nations to better understand themselves, build healthier relationships and happier lives. I had to choose – either become a copy of my mum or find myself. I’m proud of who I’m today. I chose another path and changed my life. Today I’m grateful to my mum for giving me life and courage to say no. Even to her. It took a lot of work to get here. But it was worth it as I’m now living a life of fulfillment and contentment, greeting each new day with a smile. Don’t you agree? Being clinical psychologist and PhD doesn’t mean I know everything. Thank God for that, because I ecstatically enjoy learning new stuff and sharing. I use my knowledge and intuition to find drops of wisdom in the ocean of information; put them through a prism of my own experience and share it with you. I love helping people to find solutions that are right for them. It’s like placing pieces of a puzzle together. My background is international. I speak 4 languages and write in 3 (yep, still struggling with the German grammar!). I’m married for 23 years with a Danish man. We have a wonderful adult son. Want to pop into my office? It’s an unusual one. Shades of white and black, spiced with reds, sprinkled with yellows and garnished with green. Anthurium and orchids tickle my creativity muscle when I write. A laughing Buddha on my desk cheers me up when I’m stuck. Red gives me energy and courage. This symphony of colours reminds me of Mozart’ music – jolly and sad; playful and behaved; fierce and calm. Always moving, never dull. Never lethargic. Most of my ex-clients waited too long before reaching out for help. Can you imagine how frustrated I feel witnessing someone’s suffering and knowing it could have been prevented? I want to reach people earlier before their issues start suffocating them. But I didn’t know how. Until I discovered a passion for writing. The idea of a Blog was born. In the Love Grow Be Happy blog, I write about self-development and relationships. I help you cope with illness or the death of a loved one, and with loss and separation anxiety. I also share how you can be happier. My aim is to spark your curiosity, warm your heart and give you answers you have been eagerly seeking. “In our coaching sessions, looking for the answers to Irina’s questions, I began to see the way out of the impasse. At the age of 48, I convince the bank to give me a loan, and I founded a company. Today, I’m confident in my strength and abilities. My enterprise is thriving and expanding. I love and enjoy my life and bring joy to others. Thank you, Irina, for asking me the right questions. You helped me to find answers and to change my life for the better. Horses are amazing creatures – powerful though easy to scare. You need to be kind but firm to succeed with her. You have to understand her moods and remember she reads your feelings and reflects them back at you. She shows you who you are. Besides horse riding, I love to spend long Scandinavian winter nights in my cosy kitchen. Baking helps me relax. For a while, I stop worrying about my email list, new ado with my mum or the world’s madness. I enjoy the smells here, especially the mesmerizing fragrance of Madagascar vanilla. The taste of a raw pastry is one of my favourites, reminding me of the best moments of my childhood: Time before Christmas. I loved watching the metamorphosis of a dull dough ball into magic cookies shaped like stars, hearts and animals. “Our marriage was on the rocks when a friend mentioned Irina. We were sceptical and didn’t believe that talking to a stranger could help our marriage to survive. It was not easy, sometimes even hard. But we felt understood, cared for and safe. In the middle of all this drama, we were able to joke and laugh which lightened the atmosphere between us, also between the sessions. We felt safe to express our feelings, without having to worry about the other’s reaction. It was freeing and gave strength. I’ve learned to take notice and care of my own feelings and needs. 10 short emails with down-to-earth tips ready to implement. Learn how to set strong boundaries and take control of your life.